Over the last decade, Facebook has emerged as one of the most important marketing tools for businesses of all sizes. Facebook has 1.59 billion monthly active users, which is a 14 percent increase on a year-to-year basis. From a simple social network, Facebook has transformed itself into a giant that is considered to be a leading driver of referral traffic. Facebook has 1.1 billion people logging into the site daily, which is a 17 percent increase year over year (stat from Facebook). Facebook also has 1.59 billion mobile active users, a 21 percent increase year over year (stat from Facebook). 293,000 status updates, 510 comments and 136,000 photos appear on Facebook every 60 seconds – The Social Skinny. 42 percent of marketers agree that Facebook is critical or important to their business. What do all these statistics indicate? Two things. First, Facebook offers numerous opportunities for marketers but, second, it is equally tough to stand apart. A lot of engagement happens on this social media platform, but there is a huge amount of information, including contests, competing for attention. So in order to become a winner at Facebook marketing you need to think out-of-the-box. Instead of doing what has already been done, you need to think of innovative ways of engaging and attracting your potential customers. Most people think Facebook marketing is all about sharing photos, videos and blog posts, but there is a lot more to do. Facebook upgrades its algorithm and features on a regular basis to offer the most relevant information to its users. So how can you make the most of your Facebook marketing strategy and take your business to the next level? With the decline in the organic reach of the Facebook pages, you need to know how to spruce up the pages to get more attention. Create Engaging Cover Photos: Choose a cover photo that reflects your business’ ideals, or highlights something special about your business. 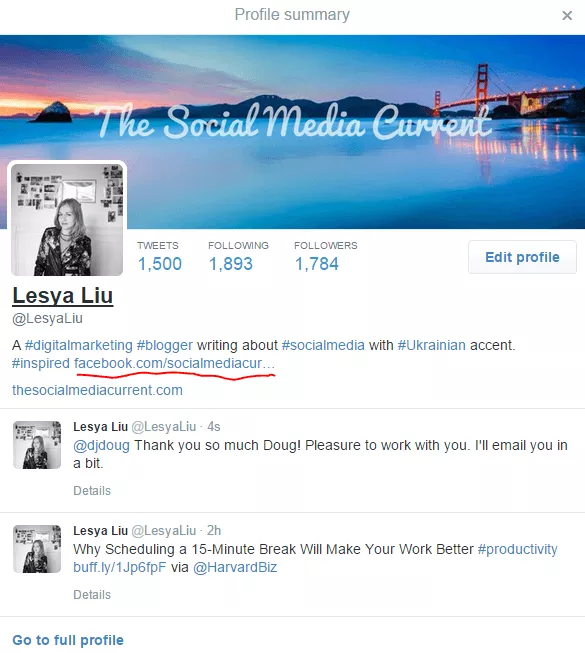 Cover photos are clickable, so you can add a short story about your company and include the link to your website. Engaging customers through storytelling is the best form of engagement. You can also use your cover-photo real estate to highlight a new product or resource your business is offering. 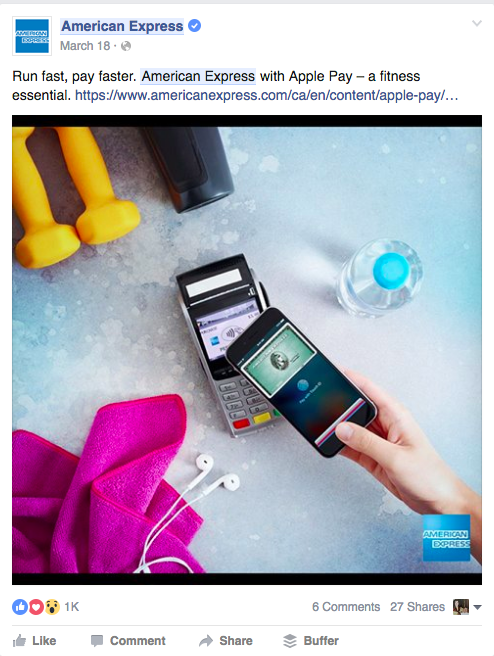 Tell Stories: Take the example of this American Express Facebook page which cleverly uses images (though not necessarily as cover pictures) to tell stories and engage its customers. The image depicts how you can use your American Express card to get hold of all your essentials. Do Cross-Platform Promotion: If Facebook is your business’ most important social platform, you should never be afraid to promote the business page across various platforms. Use the Facebook business page link in your Twitter or Instagram bio or include the link in your messages to encourage our followers to engage with you on multiple platforms. Used Advanced Facebook Advertising Tools: Facebook offers a number of advanced tools that help businesses attract attention and improve their bottom line. A Facebook Pixel, for example, is a snippet of code that helps business track how people interact with their websites through Facebook, the pages they visit, conversion ratios, etc. Facebook Pixels can also be used for retargeting. The Power Editor, helps businesses create ads targeting website visitors. You can specify time frames of the visit, to target the right bunch of people. 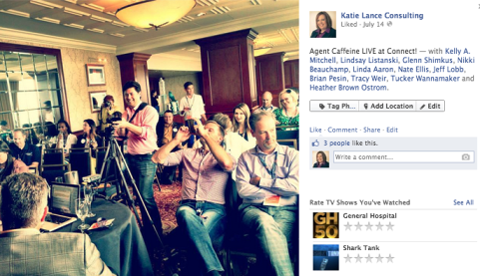 Similarly, you can also leverage Facebook interest targeting to get your Facebook ads to people interested in them. Using personal profiles for leveraging business is an often-overlooked Facebook strategy. Along with the Facebook business pages, the Facebook personal profile can also be leveraged to improve Facebook marketing strategies. Even though Facebook says, “You will not use your personal timeline primarily for your own commercial gains, and you will use a Facebook Page for this purpose,” in the Facebook’s Terms of Service, there are many ways in which you can engage in activities that help you take your business to the next level. 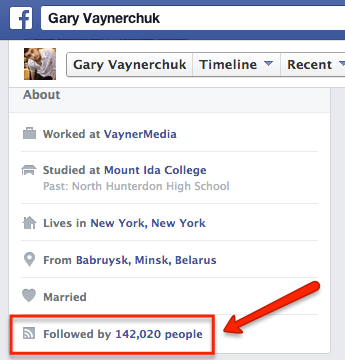 Use the ‘Follow’ Function: This function allows people to see your public updates without adding them as friends. By setting the privacy setting appropriately, you can make sure you guard your personal life and make (only) the industry content visible to the public. Another advantage of using the ‘follow function’ is that anyone, whom you don’t accept as your friend, automatically gets converted into a follower. So you can quickly build a following. Tell a Story and Celebrate Moments: You surely don’t need to talk about your services and products every time to get the word out. You can promote your business in a more compelling manner. Share good moments with your community – tell the people about the employee award night or a company outing. Share photos to tell a story about your company. Use appropriate tags and relevant hashtags that improve the visibility of your posts. Remember that when you tag someone you, they get notified and it reflects on their timeline; this improves visibility and increases engagement, like and shares for your page. Personalization is a Must: Since personal profiles are meant for personal communication, you can communicate with your followers and customers personally to improve the brand awareness. Keep an eye on what’s happening in the lives of your clients, customers and contacts. 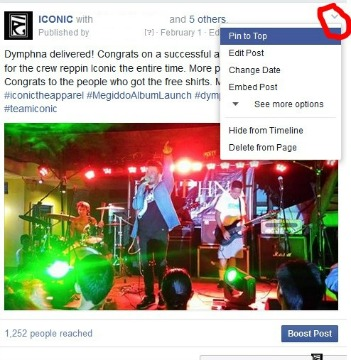 “Pin to Top” : the content to post on Facebook can easily get hidden under thousands of other feeds. So how would you make sure your content becomes prominent in front of your targeted audience? Backdate Posts: Now you don’t need to fret if you’ve forgotten a post! Just backdate your posts so that the content appears in the past on the page timeline. The best thing about this feature is that backdated posts publish immediately. So all the marketing strategies will be under full control! Facebook is one of the strongest marketing tools and when leveraged properly it can help you achieve the business goals quickly. Whether you hire a social media marketing agency to promote your brand online or do it yourself, make sure you implement these tips to make your marketing efforts fruitful. About the author: Vivek Patel is a search specialist at E2M Solutions.